Author: Morrow, Jill Set In . . .
Attorney Katerina Piretti and her husband, Stephen Carmichael, own South Baltimore's trendy Angel Café. Having battled with the dark side in the past, they want nothing more now than to lead ordinary lives by simply raising their two daughters and pursuing their lucrative careers. Unfortunately, ordinary doesn't seem to be an option. 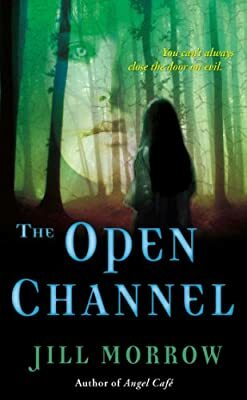 When their thirteen-year-old daughter, Julia, begins to experience frightfully realistic dreams and visions, Kat and Stephen quickly realize that protecting their family will require a return to the spiritual battleground they long thought they had left behind. Is Julia the prophesied child of light, or simply an open channel allowing spirits unfiltered access to the physical world? Kat and Stephen race against time to discover the truth, for Julia has become a target for an ancient evil they have no desire to meet again...and modern and medieval eras are about to collide.